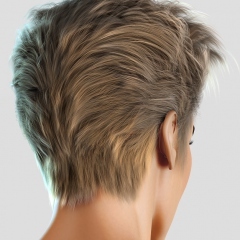 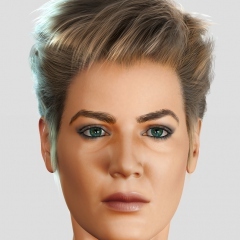 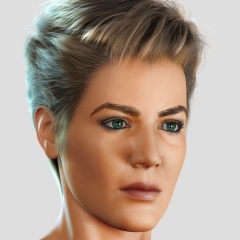 For creating hair it was used a standard component 3ds Max Hair and Fur. 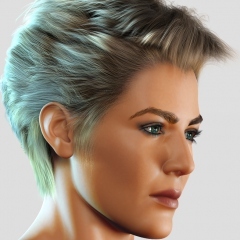 Hairstyle was created in a way, that allows to use a different methods for calculation of hair dynamics, but not only in built dynamics. 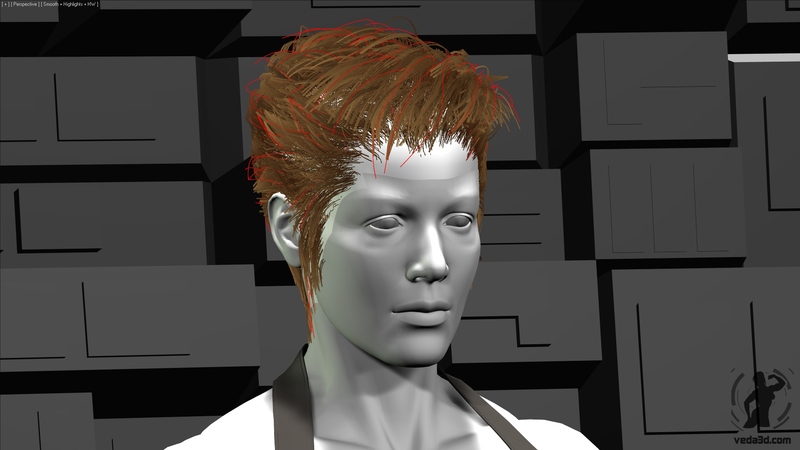 At the moment as a hair dynamics engine it is used Flex modifier, which gives a good result for rather short calculation time. 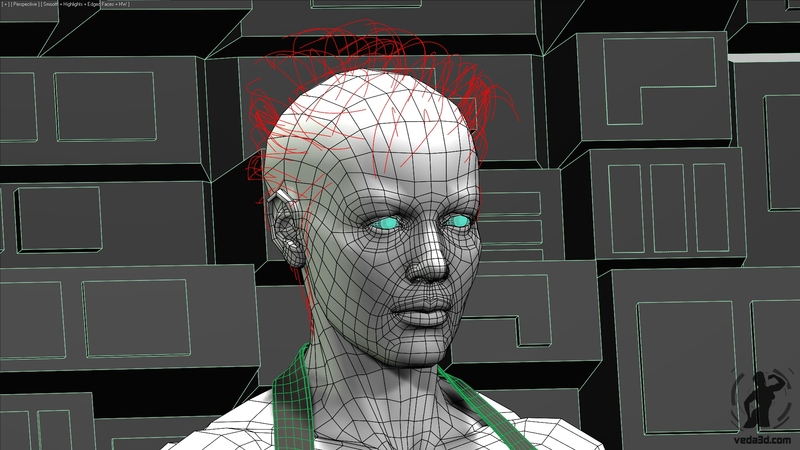 For quick setup of hair dynamics in Flex modifier I have worked out and written a special maxscript, allowing to decrease setup time in several times. 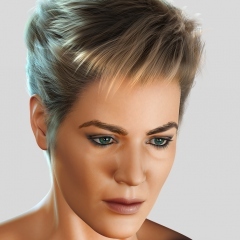 Close contacts with the author of p_HairTK shader, which was used for visualization Veda’s hair, allowed to remove a number of critical errors in the shader itself.